The world of PUBG is one that continues to expand. Having taken the PC and home consoles by storm, the game made the jump to mobile recently and whether you are playing on Android or iOS, it is fair to say that the best way to play is not by stabbing your meaty fingers at the screen, but actually to use a wireless controller. We already explained what you can and cannot do with regards to controllers, but what if you only have your phone and your fingers with which to work? One user was in this exact position and was able to use their head to come up with something that is both ingenious, and gives us an insight into the way gamers will go to just about any length in order to get an advantage over those they are playing against. Thiefsniper took to social media to share their creation and the result is just brilliant. 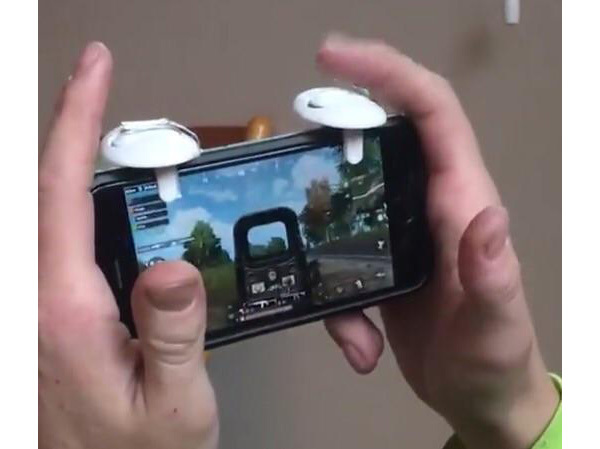 By taking some aluminum tape and power outlet safety covers, they were able to fashion shoulder buttons of sorts, making it easier to play the finer points of PUBG – aiming down a gun’s sight and shooting while still moving. Something that is difficult to do with just your fingers on a screen. Bravo! We knew that PUBG gamers were serious people, but this takes things to a whole new level!